This conference in April 2009 at the Uni. of Notre Dame will feature many papers from scholars such as Andrew Rippin, Gerald Hawting, and Robert Hoyland. They are examining the Quran in its historical and literary context. This includes Luxenberg's theories about a Syro-Aramaic reading. Apparently there was a conference back in 2005 that was published, so let's hope that this will be published too. This is basically the info that I know on it, I'll let you guys know what happens as it gets closer to the date. Looking forward to your further updates. Although Lane listed both words as originated from root letter Ayn-Ra-Ba, I would appreciate, if it is possible, to cross check it with some other sources/references particularly from Syro-Aramaic reading . The root of the word has many meanings in Semitic languages including "west/sunset," "desert," "mingle," "merchant," "raven" and are "comprehensible" with all of these having varying degrees of relevance to the emergence of the name. It is also possible that some forms were metathetical from ʿ-B-R "moving around" (Arabic ʿ-B-R "traverse"), and hence, it is alleged, "nomadic." The plurality of meanings results partly from the assimilation of the proto-Semitic ghayin with ʿayin in some languages. In Hebrew the word ʿarav thus has the same triconsonantal root as the root meaning "west" (maʿarav) "setting sun" or "evening" (maʿariv, ʿerev). The direct Arabic cognate of this is ġarb ("west", etc.) rather than ʿarab; however, in Ugaritic, a language which normally preserves proto-Semitic ghayin, this root is found with ʿayin adding to the confusion. Hence, personally I think it fit nicely to the context of the message in al Qur'an applying the understanding of the word a'rab n.m. pl. (no sing.) /al-aAArabi as stated above. As for the rabiy n.m./ AAarabiyyan, as at the moment, i incline to see it as not referring to any particular group of people, whether it is Arab or not. But rather the word AAarabiyyan implies the quality/clearness of the message itself. Do you have any reference from which I can cross check to verify/support my proposition. I've been trying to get the book by Christoph Luxenberg entitled "The Syro-Aramaic Reading of the Koran", but apparently it's banned here in Malaysia. Going through the table of contents listed on page 6-7, I think there's no reference on the subject of al-aAArabi and AAarabiyyan. Nevertheless, based on the available preview pages on Google book, there's no denying Luxenberg has a dynamic approach to getting his ideas across. And there are some remarkable insights in his book, put into words concepts that I knew were true in my head but I couldn't quite express them. Luxenberg's book is out in English now in the US, and should be available in Canada later this year. I'm going to get one, but there are a few articles that I've recently read that say he didn't devise any new reading, since scholars have seen the links to Syriac and Aramaic since the late 19th century. At any rate, he is the most recent scholar to become "popular" and gain massive attention. Other scholars who didn't make a bang, are less known. 20 poems from the span of Ephrem's works, only one from On Paradise which contains the rasiins and fruit analogies. Unfortunately the one where houri are mentioned in that work, is not included. Other poems concerning Jesus, the Incarnation, the Fall, the Exodus are included. A brief introduction to the poem appears before each one, and there's a small discussion about the metres of the poems. Each poem appears in a vocalized Western script on the left page, and a line by line English translation on the right page. Commentary and side notes are also included to help with hidden meanings. Also contains an appendix which contains all of Ephrem's previously translated works and what editions they are. Many new French trans. have appeared in the last 5 years, and they are listed as well. 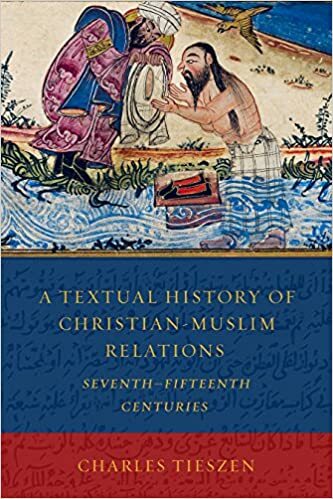 Part of the Eastern Christian Texts series. New book about mystics. Contains a large introduction about mysticism in the east in general, plus bios of each of the major figures and their theologies. 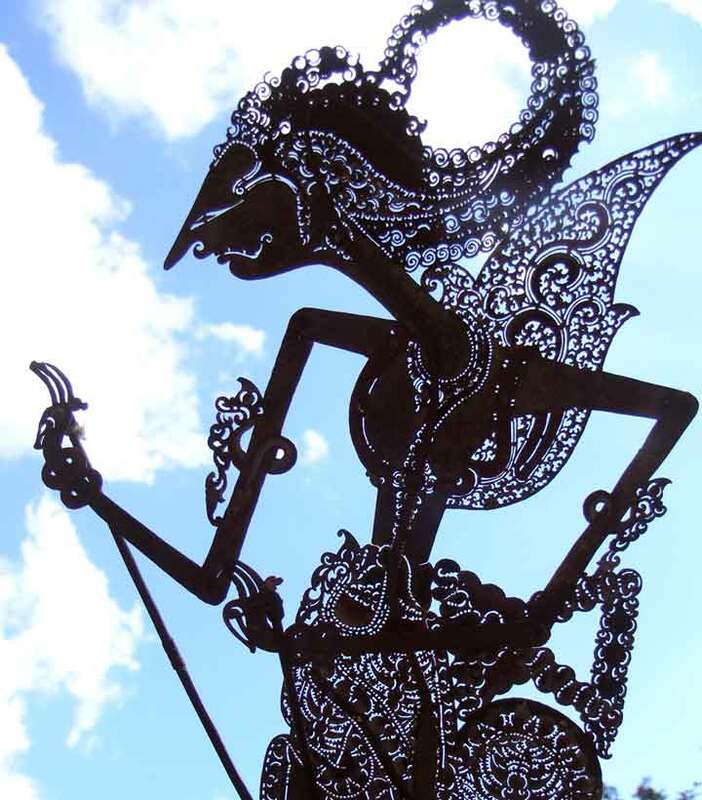 Their dates are also given and many are contemporaries in the late 7th century, showing the highly productive era contra the image Islamic tradition portrays of battles and general destruction. Influence of Buddhism on asceticism is shown for the early part, since it is known that Mani (founder of Manicheism) was influenced by Buddhism. Very interesting stuff here. Anthology contains poems of those discussed in the Intro. Texts range from 3rd-13th centuries. Bible references in the margins. An anotated bibliography for further research is given at the end, and the intro. refers to it often. Many works are somewhat old (pre-1950s, many from 1800s), and are in German and French. English is still a minor language in the field of Syriac Studies. Comprehensive index accompanies. No Table of Contents, so I'll give the contents here. The English portions start at the left of the book, as you would normally read English, and the Syriac starts are the right, as you would normally read Syriac. They meet in the middle. Preface: gives short bio. of Cureton and his importance. This particular book was finished by a friend (William Wright) after he died. Pp. i-ix. Eusebius: A chapter from his Ecclesiastical History in Syriac trans. from the mid-4th century concerning King Abgar (akbar=great) and his contacts through letters to Jesus. English and Syriac versions. Doctrine of Addai: Contains a defective version of the teachings of the Apostale Addai. Defective because the text Cureton was working with had lines missing. These appear as **** to show a break. English and Syriac. Doctrine of the Apostles: Early text with the order of the mass, and under whose jurisdiction locales are under (eg. Asia Minor=John the Evangelist, India=Thomas). English and Syriac. Doctrine of Simon Cephas: Hagiography. Perhaps this is the same as the Acts of Peter. I haven't checked so I don't know yet. English and Syriac. Acts of Sharbil: Lengthy tale of a former Zoroastrian priest who converts to Christianity. Interesting for what Christians viewed important, and theological issues of the Incarnation. English and Syriac. Martyrdom of Barsamya: A trial with judge. English and Syriac. Martyrdom of Habib the Deacon: Habib was a very popular martyr and appears in many texts. Takes place in 4th cent. at time of Emp. Constantine. English and Syriac. Oration on Habib, by Jacob of Seruq: On greatness of Habib and crushing of idolatry. English and Syriac. Oration on Shamun and Guria, by Jacob of Seruq: Also Christianity vs. idolatry. English and Syriac. Canticle of Jacob of Seruq on Edessa: 1.5 page text. Has biblical references like Song of Songs ("I am black and comely"). English and Syriac. Extracts from various books abt Abgar and Addai: 8 texts without reference to original source, although the titles of each may be the source. Some are from Virgin Mary's ascension tale. English and Syriac. Martyrium Sanctorum Confessorum Samonae, Guriae et Abibi, ex Simeone Metaphraste: Text on martyrdom of Shamun, Guria and Habib. Latin only. Moïse de Khorène: Histoire d'Arménie. History of Armenia covering Abgar from conversion to death. French only. From translation from Armenian of a 5th cent. text. 90 pages of notes and commentary. About 110 pages of both English and Syriac. A very important book. The abstracts are up for the Quran conference. Section 3 seems to be the most fruitful with regard to actual Quranic studies, and not commentaries on scholars themselves (which is what Donner is doing). I also picked up the first conf. 's book that was published last year. 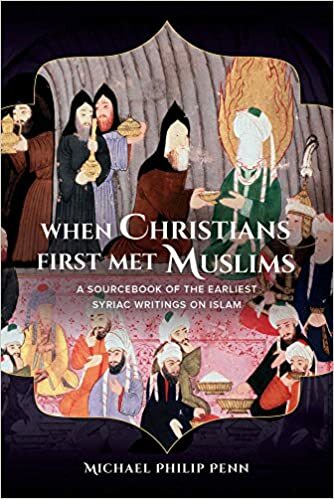 Many interesting papers, and many discuss Christoph Luxenberg's book, its implications, and where he got some stuff wrong (many cases of "Syriacisms" is really a true Arabic phrase that was misunderstood by all). I think the most important chapter was by Andrew Rippin who wrote about foreign Syriac words. One of the medieval theories (Suyuti) was that there was at least one word from every language in the Quran, to show its universal nature. I find this hoky, and Rippin points out the flaws in this argument too. There are a few cases brought forward by another author abt Ethiopic words found in the Bible translation, such as ma'ida and ta'utha which mean table and new god. The table is of course the eucharist, and the new god is an idol. Very interesting stuff. Many scholars are now understanding the need to know Syriac, Hebrew, Greek, Coptic, Ethiopic, Armenian, etc. not just Arabic because then you're trapped in the Muslims own maze that was constructed over 1000 yrs ago with no exit. There is a video up from the Qur'an conference. It is the opening greetings, and the first presentation by Abu Zayd. The paperback of the first conference is also out for $40 US. Lot cheaper than the hardcover, which is $110! We eagerly await the 2nd vol. which has essays by G. Puin, and A. Rippin. Sebastian Brock. 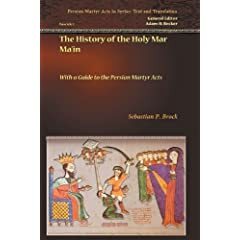 The History of the Holy Mar Ma'in: With a Guide to the Persian Martyr Acts. Gorgias Press, 2008. Persian Martyr Acts in Syriac is a series of Syriac martyrological texts composed from the fourth century into the Islamic period. They detail the martyrdom of a diversity of Christians at the hands of Sasanian kings, bureaucrats, and priests. 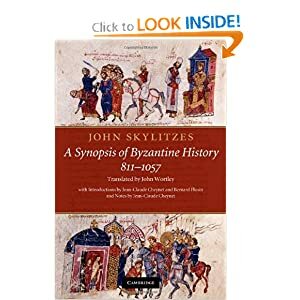 These documents vary from purely mythological accounts to descriptions of actual events with a clear historical basis, however distorted by the hagiographer's hand. The story follows that of a Persian who persecutes Christians and then converts and suffers some torments that are comparable to those which he inflicted on others earlier in his life. There is an introduction explaining the literary models (eg. Paul), the historical context of events described in the text, when it was written and why, and past scholarship on the text. English and Syriac then follow, with indices and Biblical references, as well as an appendix which tells of other martyr texts in Syriac, almost none of which have been translated into Enlgish, although some are in French. A bibliography of books and articles follows with more information to be gleaned. Amazon.com The book is quite expensive, almost $52US for less than 100 pages of overall text, the rest being indices. Ed. by Wallis Budge. Orig. published in 1896. Previously I stated that Gorgias Press is cost prohibitive for the average reader, so why pay money when you can get for free? Ed. by Wallis Budge. Orig. published in 1889. Syriac version. Both have good intros on research in his time, chief among them the work done by Nöldeke on the Jacob of Serugh text. Not really Syriac, but extremely important. Classic reprinted finally. I just ordered a week ago, and awaiting shipment. Joseph Schacht. Introduction to Islamic Law. Clarendon Press. ISBN: 978-0198254737. ~$60. Reprint of the seminal work which doesn't offer the same level of detail in his previous book, but serves as an introduction to the topic. Judging from the sample pages, it is a very good book. The only source available that describes Greek Fire, and the only manuscript to show a picture of it in the Madrid collection. Coming out later this year, but costs $130. Only complete English translation available. It's been over 3 years since I updated this, but in the Hugoye Yahoo group, there were 4 interviews posted recently that touch somewhat on the abduction of the monks in Syria, but mostly about scholarship about Syriac. More info about the recent "booming" business in golden bibles written on leather in the ME. These are all fakes. Most are done with Sharpie markers, and reflect modern dating (eg. "in the year of our Lord" which is a recent trend in Oriental Christians, before it was "the year of the Greeks" starting in 323 BC), and include drawings that are far more "accurate" or amusing than any produced in the history of the Syriac tradition. See the palm trees and donkey in the link. Have a look through this blog, it is very interesting and is by a scholar who has put the time and effort to educate readers. The same author also runs this blog: Aramaic NT. Great news! Gorgias Press has announced a new way to get their books and articles: Open Access. There are 6 items so far, including the $250 book about John Wansbrough's ideas, The Coming of the Comforter. These are all in pdf files, and are ready to download right away. Some of the reviewers said they read it in one day! I am looking forward to getting my hands on this. Sadly there is no preview, so I have no idea what's covered. The cover is everyone's favourite chess picture. The library where I work just got a copy of this, and it contains texts that are not normally consulted. 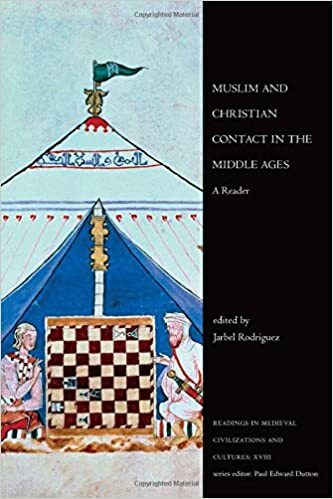 I was excited to find a chapter on Al-Jahiz from the 9th century who was a satirist and may preserve in his writings descriptions of Islamic statues (horrors!) that once adorned the Damascus mosque. The series is an ongoing one from University of Toronto press (can any good come out of Toronto?) that gives readers for the undergrad level (really they are good for everyone) that translate into English texts that haven't been seen since 1850 or never. Giant resource and bibliography of texts and translations. 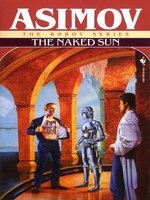 I tried some of the links to the Internet Archive, but it showed a thumbnail sized book. Not sure how to enlarge them. $25US for an anthology of Syriac texts from Qatar in the 7th century. Apparently Qatar was the powerhouse of theology and schools in the 7th century. Here is the companion volume which represents conference proceedings from 2014. The school there rivaled Edessa and Nisibis. Isaac of Nineveh was born in Qatar. I have been able to recover my Old Forum posting from the Wayback Machine.